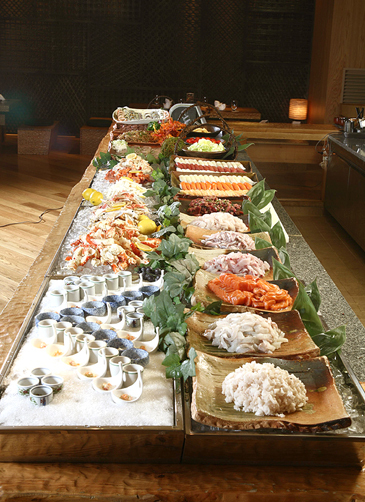 The Japanese Super Dining Restaurant "Shunmi" at Novotel Ambassador Gangnam makes your weekend dining more fun with its fine array of over 90 delicate Japanese cuisines including seafood, tepanyaki, sashimi and a lot more. The price is 45,000 won for lunch and 50,000 won for dinner. Whether as the perfect choice for your date or the ideal place for your family gathering, Shunmi's weekend buffet is a worry-free choice for your pleasant weekend. Reservation is strongly required to guarantee your table.